Mr. Mankovski is a graduate of Givatayyim Sci-Tech high school and Chairman of Friends of Israel Sci-Tech Schools in Israel. He is a Managing General Partner at Pitango Venture Capital. Previously he founded, and was a Managing General Partner, of Eucalyptus Ventures. Prior to founding Eucalyptus, he served as Corporate Vice President of Orbotech Ltd.(NASDAQ: ORBK). In addition, Aaron served as President and CEO of Orbotech Inc, HQ in Boston USA. Mr. Mankovski currently serves on the boards of: OptimalPlus, Kilopass Technology Inc., Compass-EOS, Kaminario and observer at Formlabs. Previously he served on the Board of Directors of Chromatis Networks (acquired by Lucent for $4.5 Billion). 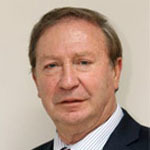 He is the founder and former Chairmain ot HTIA, now IATI – Israel Advanced Technology Industries (formerly: IVA/HTIA). Mr. Mankovski holds a B.Sc. in Computer Science and Statistics from Tel Aviv University and has also served as a pilot in the Israeli Air Force. 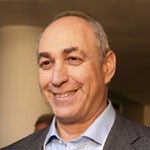 Mr. Peres is a graduate of Givatayyim Sci-Tech high school and a member of Friends of Israel Sci-Tech Schools in Israel. Mr. Peres founded and is a partner at Pitango, Israel’s leading venture capital fund. In 1992, he founded the Mofet Israel Technology Fund, an Israeli venture capital fund publicly traded on the Tel Aviv Stock Exchange. 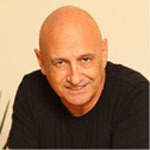 Prior to Mofet, Chemi J. Peres held managerial positions at Decision Systems Israel (DSI). He served as a pilot in the Israeli Air Force for 10 years. Mr. Peres has served on the boards of several NASDAQ companies, such as AudioCodes, BackWeb, Magic Software Enterprises, Aladdin, VocalTec, Orckit Communications and Koor Industries, among others. He currently serves on the boards of numerous Pitango portfolio companies. 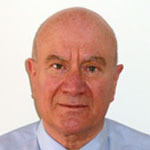 Mr. Peres also serves as a board member in several non-for-profit organizations. He is chairman of the Peres center for Peace, board member at Social Finance Israel and serves on the board of Governors of the Jewish Diaspora Museum. He holds a BSc. degree in Industrial Engineering and MBA from Tel Aviv University. Mr. Yanay is a graduate of Singalovsky Sci-Tech School in Tel Aviv and a member of Friends of Israel Sci-Tech Schools in Israel. He has been employed by Motorola for 36 years, serving in a variety of positions such as President of Motorola Israel, General Manager of Motorola Communications Israel Ltd, Senior Vice President of Motorola Solutions, Inc. (also known as Motorola Inc.). Since leaving Motorola, he has been the Director of Easy Energy Inc. 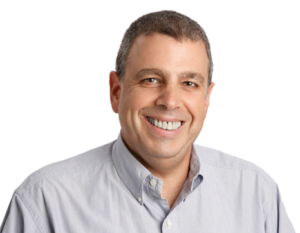 He is the leader of Education 2000, a forum for the expansion and enhancement of technological and scientific education in Israel, and has been the Industry Representative on the Council for Higher Education since January 2002. Mr. Yanay received the Rothschild Prize for Innovation in 1980 for the computerized irrigation system that he designed and developed. His awards include Honored Member of Israel Sci-Tech Schools, Entrepreneur of the Year, and Motorola Chief Executive Officer Award in 1992 and 1993. He was awarded Honorary Fellow of the Technion, in May 1998. 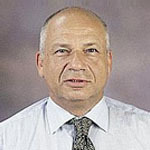 In June 1997, in recognition of his personal initiative and contribution to the development and promotion of technological education in Israel, he was named a Distinguished Fellow of the Technion Faculty of Electrical Engineering and an Honorary Fellow of the Tel-Aviv University Faculty of Engineering. Mr. Yanay has a BSc in Electronics Engineering from the Technion Institute of Technology in Haifa, Israel. Mr. Shekel is a graduate of Singalovsky Sci-Tech School in Tel Aviv and a member of the Friends of Israel Sci-Tech Schools in Israel. For the past 18 years, he directed a number of Israeli metal product factories. In 1975, Mr. Shekel was awarded the prestigious Kaplan Prize and in 2007 he was honored with the Israel Prize for Industry. Mr. Shekel attributes his solid high school technical education to his subsequent advanced studies, and ultimately to his professional success. Mr. Laor graduated from Singalovsky Sci-Tech School in Tel Aviv. 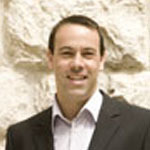 Mr. Horev is a graduate of Singalovsky Sci-Tech in Tel Aviv and is now a leading figure in Israel’s high-tech arena. In 1996, he founded Oracle Israel and served as the Managing Director of Oracle Israel and Vice President for Oracle Corporation for 18 years. Prior to this, he served as the Chief Executive Officer of Hewlett-Packard in Israel. He served as the Head of the Israel Ministry of Defense Research and Development Electronic Division, Head of the Air Force Avionics and Armament Division as a Colonel and the Head of the Guided Weapon System Office of the Israeli Air Force where he received the Israel Defense Award from the President of Israel for his leadership in a critical R&D program. Mr. Horev holds a BSc in Electrical Engineering from Tel Aviv University and an MSc in Electrical Engineering from Air Force Institute Of Technology in Dayton OH, both with honors. 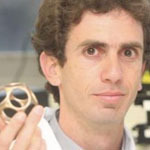 Founder and CEO of Vecoy Nanomedicines Ltd.
Mr. Livneh is a Biologist, a technological inventor and graduate of the Weizmann institute of science. His company, Vecoy Nanomedicines, developed a new generation of nanomedicines for the treatment of HIV/AIDS, Hepatitis-C and other viral infections. In 2010, he represented Israel at the highly prestigious multi-national Graduate Studies Program organized by the Singularity University and based in NASA’s Ames Research base. In 2012, Vecoy was awarded 1st prize in the “Start-up of the year” contest (English, Spanish) and was referred by The Marker magazine as one of the promising rising start-ups of the year. In 2014 Mr. Livneh’s innovation was selected by ISRAEL21c on its annual list of the 10 most extraordinary medical devices and pharmaceuticals that promise to revolutionize global healthcare. Through the MassChallenge startup accelerator program last November, Vecoy’s platform was chosen to be tested in zero-gravity conditions on an upcoming NASA space mission. Prior to founding Vecoy, Mr. Livneh spent a decade conducting and leading bioresearch programs in both academia and biotech companies, including Compugen (NASDAQ:CGEN), Evogene (TASE: EVGN) and Predix Pharmaceuticals. He is also a member of the Scientific Advisory Board of the Lifeboat Foundation alongside leading scientists such as Nobel Laureates Eric S. Maskin and Wole Soyinka. Mr. Livneh holds a Master’s degree in Life-Sciences from the Weizmann Institute of Science and a Bachelor’s degree from the Hebrew University. Dr. Ferris is a graduate of Everett Hatzor Sci-Tech School in Hatzor. He served in the IDF for five years, attaining the rank of Captain in the reserves. He has a PhD in Near Eastern Studies from Princeton University (2008), where his doctoral thesis, entitled Egypt, the Cold War, and the Civil War in Yemen, 1962-1966, earned him a Mellon/ACLS Fellowship in 2007, a Social Science Research Council Fellowship in 2007, and the Bayard and Cleveland Dodge Memorial Thesis Prize for Best PhD Dissertation in 2009. Since graduating from Princeton, Dr. Ferris has held two post-doctoral positions: a Mellon/ACLS Recent Doctoral Recipient Fellowship and a Lady Davis Postdoctoral Fellowship at the Hebrew University in Jerusalem. His research interests include democracy and foreign policy, international politics of the Middle East, Arab strategic culture, Russian and American foreign policy, and Israeli national security. He is also the author of Nasser’s Gamble: How Intervention in Yemen Caused the Six Day War and the Decline of Egyptian Power.